Krewe de Canailles celebrates the venerated Popeyes Buffet in 2018. 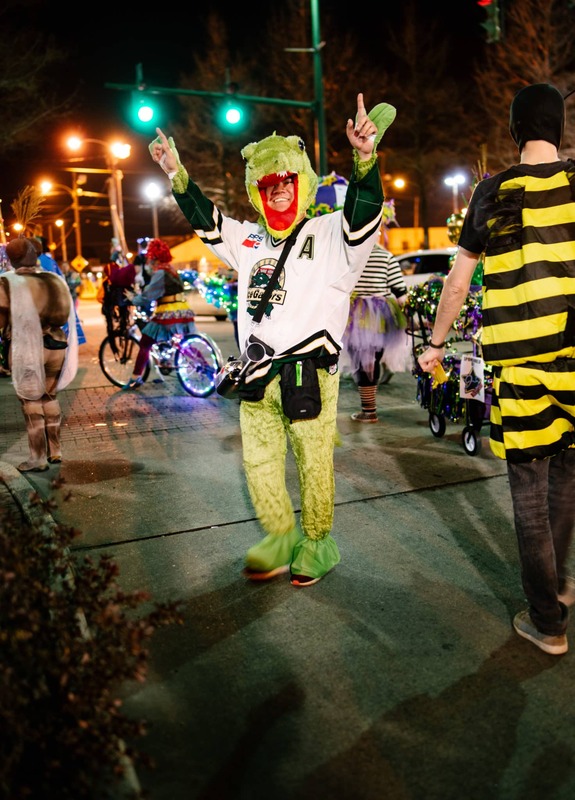 Lafayette’s first walking parade had an impressive maiden voyage last year, importing the mischief and creativity of the New Orleans Mardi Gras float-less parade. Sparked by a 24-Hour Citizen Project grant, Krewe de Canailles rallied parade krewes and onlookers alike to a parade without barriers. Themed “Local Legends,” the 2018 krewes marched gaggles of Red Lerilles, loaves of Evangeline Maid bread, a phalanx of Rob Perillos and the full menu of the Popeyes Buffet — biscuits, fries, wings, mac and all. This year, the Krewe de Canailles offers an expanded route and a new theme, Louisiana folklore. Organizer, photographer and king of the king cake trolls, Paul Kieu weighs in on local pronunciation, local folklore (Shaq), pho profanity and more. 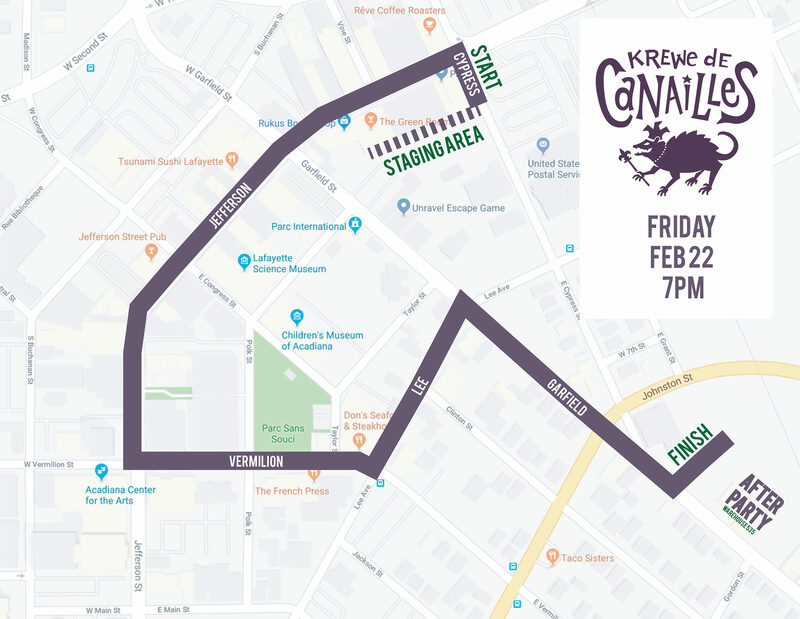 Krewe de Canailles marches Downtown Feb. 22 at 7 p.m. The parade is free and appropriate for all ages and mythical creatures. The Current: You provided a pronunciation guide in your press materials. Have you had a problem with folks not knowing how to pronounce Krewe des Canailles or Paul Kieu? Paul: Some people have mispronounced the name “Krewe de Canailles,” but they are typically not from here originally, and that’s perfectly OK. We know people are trying their best, and I provide pronunciation guides to ease the transition. I still occasionally get mispronunciations of “Paul Kieu,” but for the most part, that has been solved through my outreach in the community. Your name would make a great pho restaurant; you’ve said that for years. A pho restaurant in Keene, N.H., called Pho Keene got into some trouble phonetically, and now it looks like America will lose a delightful pun. Tragic. Does that discourage the possibility of Pho Kieu or its sequel, Pho Kieu II? Currently, the only things that discourage Pho Kieu and Pho Kieu II from happening are my own lack of capital and time. I believe the First Amendment will and should always prevail, with or without my investment. 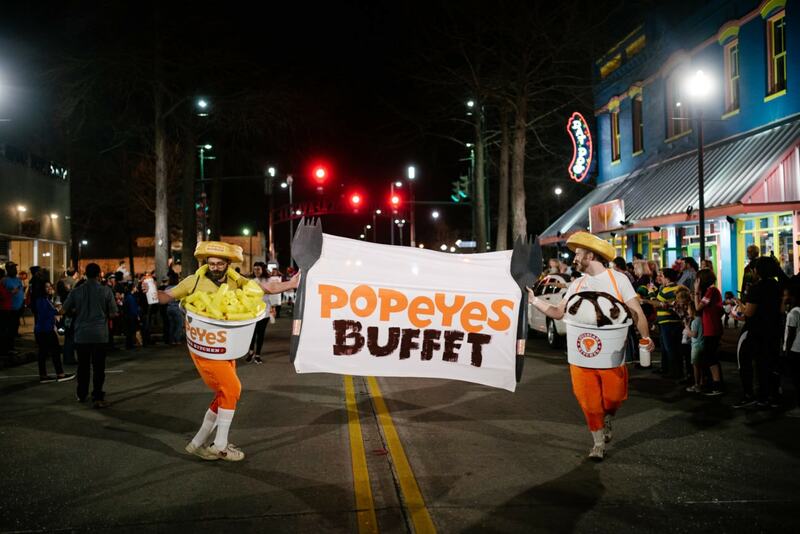 I’ve had it in my head since last year that y’all cooked up this walking parade just to celebrate the Popeyes buffet, truly a national treasure. Folklore seems, let’s say, less edible. Should I eat before I hit the parade this time around? I didn’t get a biscuit last year, by the way. 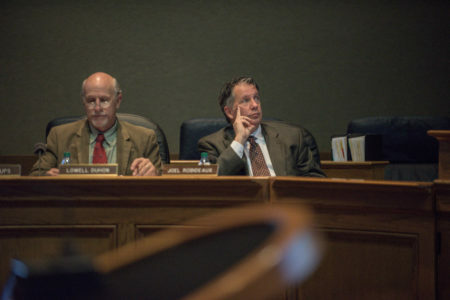 The parade begins at 7 p.m. this year, which should give you plenty of time to stop at numerous restaurants in Downtown Lafayette and get a quick bite and/or some drinks both before and after the parade. Many are along the route or near the route and would be wonderful choices. Paul Kieu marched as an IceGator in 2018. 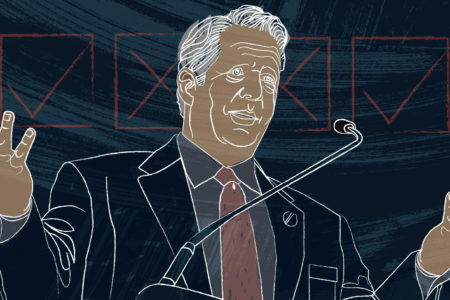 What’s a Cauchemar (coosh-mah)? In your own words, please. Don’t Google it. The Cauchemar is the name of a Louisiana French retelling of a common tale of sleep paralysis, in which people awake at night unable to move and is often accompanied by visions of demons and other supernatural visitors. There have been attempts to explain this through scientific means, but it’s up to the observer to decide what is real to them. This is a “no barriers” walking parade. Barriers are hot in national conversation right now. Are you making a statement about political impasse? While I hope the federal government shutdown comes to a reasonable end ASAP, locally we are very adamant about the lack of barricades in this parade and will continue to push for that as a marquee feature of our parade for as long as we can. We believe people can learn from the balance between our desire for fewer barricades and the security needs of local law enforcement. This year’s compromise brought along one of my favorite additions in the form of Vermilion Street and Parc Sans Souci. It’s a beautiful street with ample room that will allow for more partying, so compromise has worked to bring the people a better parade. Instructive! I’ll call Washington. Have you considered making this an e-scooter parade instead of a walking parade? I bet you could get a pretty good sponsorship from Bird. For 2019, we haven’t discussed having an electric scooter parade. The appearance of these new scooters has taken Downtown by storm, and we haven’t had much time to react to them for our own parade. Currently, the only motorized vehicles allowed in our parade are law enforcement, but in the future we could revisit electric scooters, so-called hover-boards, Segway devices and so on. 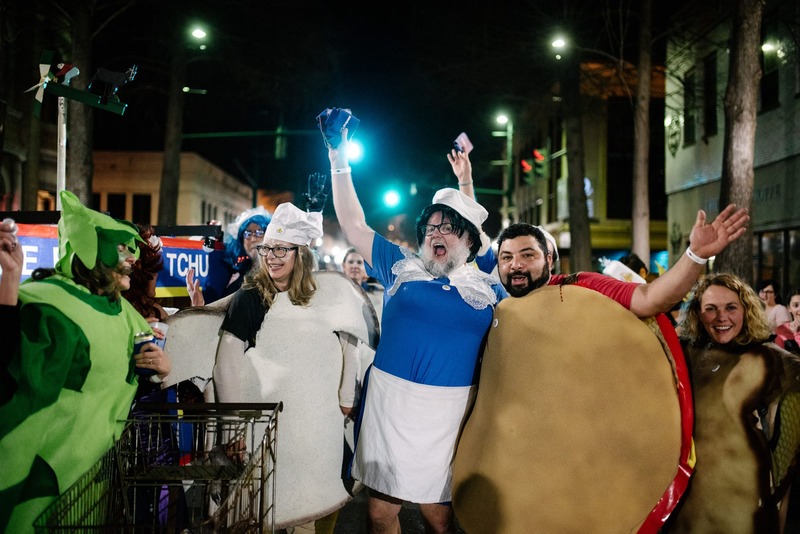 Parade revelers dressed as Evangeline Maid bread products for Krewe de Canailles’ “Local Legends” theme in 2018. Does Shaq count as folklore? I mean, he’s enormous and has made yeti-like apparitions around town over the years. I sat behind him at a movie theater once (Nutty Professor 2). See what I mean? Dr. Shaquille O’Neal is perhaps the best example of modern folklore in Louisiana. Everyone has stories about him at Artmosphere, and so many other places, but he’s incredibly elusive despite being 7 feet tall. With several NBA titles, an Olympic gold medal, a doctoral degree and a Lafayette City Marshal’s office badge, he’s lived the life of several overachievers. Maybe we should start considering whether he actually exists or is just an optimistic manifestation of the ideal human being. OK, last question: Would you be open to an inversion of the parade concept where the crowd pelts you with sussies and knick knacks? What if it were biscuits from the Popeyes buffet? I’m personally open to an inversion of the parade concept, but that may pose a safety concern to our parade marchers, so it will likely not happen at KDC this year or any time soon. Popeyes biscuits are welcome in theory, but in reality, by the time the parade arrives to spectators on the route, they would likely be cold. No one should ever ever ever eat a cold Popeyes biscuit. The gist: Library attorneys agreed in a federal hearing to strike a temporary ban on room bookings for private, drag queen-related events. 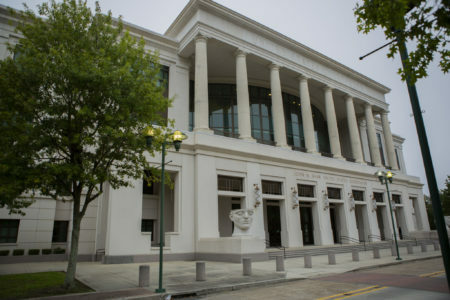 A ruling in a federal suit filed to stop a library-sponsored Drag Queen Story Time event, which gave rise to the ban, is expected as early as next week; the case looks likely to be thrown out.